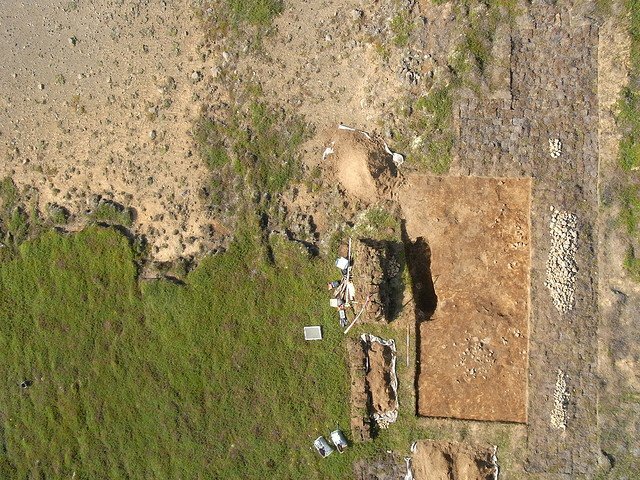 Abstract: Comparison of the distribution of pagan burials in Iceland with medieval information about the number of farmers in different parts of the country allows a division of the country into three zones of low, medium and high frequency of pagan burials relative to the number of settlements. Possible explanations for these differences are briefly explored. This paper is a product of the project Death and burial in Iceland for 1150 years and sets out some of the problems it aims to solve. Introduction: It is a well known aspect of the Icelandic corpus of pagan burials that there are significant differences in their geographical distribution. In some regions there are many while in others there are few or none. There are two schools of thought to explain this. One holds that the difference is primarily an effect of discovery, that burials are more likely to come to light in regions where soil erosion has been active and in landscapes where roads are liable to built in locations where pagan cemeteries were situated. The other suggests that the differences reflect real variation in burial practice: that pagan burials are few in some regions because pagan burial rites were not practiced there to the same degree as elsewhere. My aim here is not to take sides in this debate but rather to point out that its premise is not as straightforward as it has been made out to be. The observation that there are differences in the numbers of burials between regions is obviously correct and significant but it fails to take into account that there were differences in the number of settlements, and hence population levels, from one region to the next. Consideration of these leads perhaps not so much to a solution to the problem as it has been defined by earlier debate, but rather to a more nuanced appreciation of what such points on the map may imply, whether in terms of belief systems or settlement patterns. The number of settlements is not known for the pagan period but the relative carrying capacity of each region can be gauged from later evidence. This is not straightforward however and each type of evidence comes with its own set of problems. The earliest comprehensive survey of farms in Iceland is from 1695-96, complemented by the first national census in 1703. These data provide a basis on which to build but they are obviously problematic in that they postdate the pagan period by seven centuries. In some regions at least there are indications that significant changes in the number of settlements occurred in the interim, suggesting that the 1690s figures cannot be used without qualification as proxy data for the Viking age.